Today 2 of our classes are taking a trip to Fort Wadsworth. In the Rain. 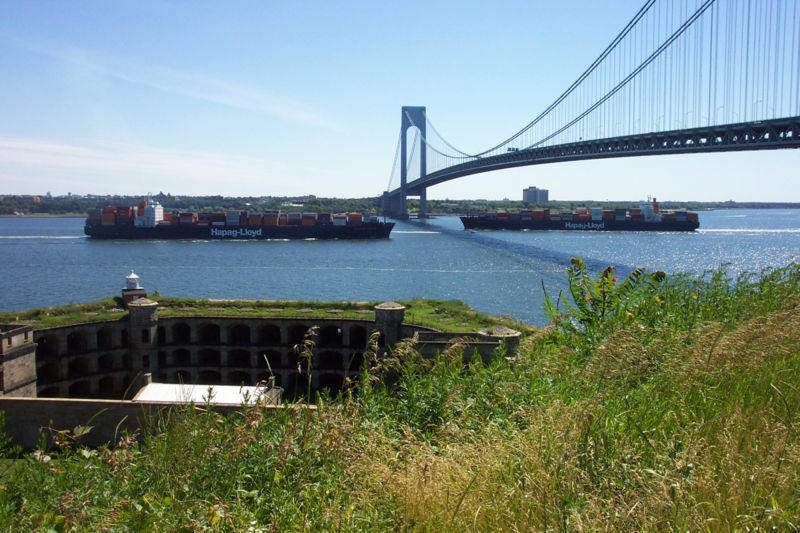 Here are some notes on the history of the Fort: Fort Wadsworth is a United States military installation on Staten Island, New York, situated on The Narrows which divide New York Bay into Upper and Lower halves, a natural point for defense of the Upper Bay and Manhattan beyond. Prior to closing in 1994 it claimed to be the longest continually-manned military installation in the United States. The first use of the land for military purposes was as the site of a blockhouse in 1663. During the American Revolution it became known as Flagstaff Fort; captured by the British in 1776, it remained in British hands until the war’s end in 1783. It became the responsibility of New York State in 1806, and reverted to federal control during the War of 1812. Divided into several smaller units, including Fort Tompkins and Fort Richmond, its present name was adopted in 1864 to honor Brigadier General James Wadsworth, who had been killed in the Battle of the Wilderness during the Civil War. In 1910, the fort fired a 21-gun salute to former President Theodore Roosevelt as his ship passed through the Narrows on his return from a nearly year-long trip to Africa and Europe. In 1913, ground was broken by President William Howard Taft for a proposed National American Indian Memorial that was to be built on the site of Fort Tompkins. The monument was to include a 165-foot tall statue of an American Indian on the bluff overlooking the Narrows, but difficulties in fundraising and the advent of World War I precluded fruition of the plan. By 1924, Fort Wadsworth had become an infantry post, and from 1955 until 1974 it was the headquarters of the 52nd AAA Brigade. It then was the site of the United States Army Chaplain school before being turned over to the United States Navy in 1979, which used it as the headquarters of its New York Naval Station. The property became part of Gateway National Recreation Area when the Navy left in 1994. Shortly after that, the United States Coast Guard became a tenant in some of the buildings and housing previously occupied by the Navy. As of 2007, they are occupied by the United States Coast Guard’s Sector New York and a Maritime Safety and Security Team. Historic structures include Battery Weed, directly on the harbor, and Fort Tompkins on the bluff above. Both were built in the mid-19th Century and are open to the public on guided tours only. 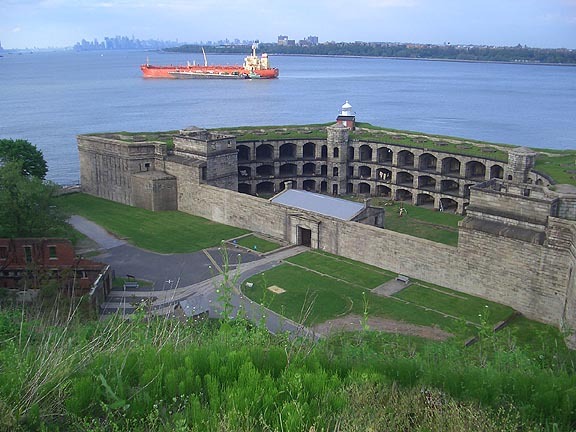 There are several smaller early 20th Century coastal artillery batteries and an overlook with panoramic views of the Upper Bay, Brooklyn and Manhattan. The National Park Service maintains a visitors’ center on site. ~ by stufffromthelab on July 24, 2008. Did you know there is a plan in action to build the Native American Statue?